Solagratiamom: LAPBOOK GIVEAWAY! Plus Secret Bonus Entry! LAPBOOK GIVEAWAY! Plus Secret Bonus Entry! If you were with me last school year, then you know that Wonderful Wednesday was started each week by lapbooking through that week's memory work. We are going on our third year of using Karen Gill's lapbooks from Wisdom and Righteousness for Wonderful Wednesdays! There are other's that are out there but I really appreciate the colorfulness and interactive nature of Karen's lapbooks, specifically. The option of making your lapbook into a notebook is the style we all preferred. She gives you the option to do the traditional file folder style lapbook or the notebook style, as seen above. As a group, the notebook style was preferred to provide enough room for everyone at the table and it also had more of a traditional "notebooking" feel. If you have active learners, then these lapbooks are a great option. Your child can flip, turn, pop-up, paste, and write their way through each week's memory work. 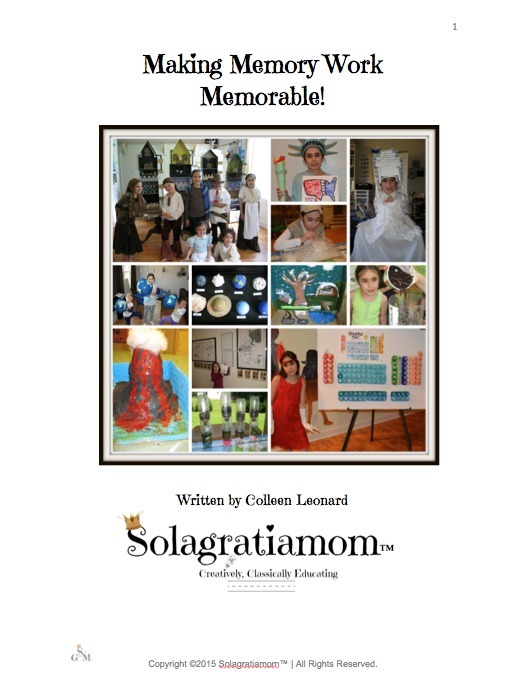 The Solagratiamom™ Teaching Plan is a terrific accompaniment to the lapbooks and details of how to use the two together are over at the post entitled Teaching Plan Explained. The lapbooks are a recommended part of my Wonderful Wednesday plan and I go into more detail on my plan about ways to assemble them, that I have personally found work best and what my recommendations are for using them in a group. They work together very nicely and I've heard from many of you that are utilizing both. 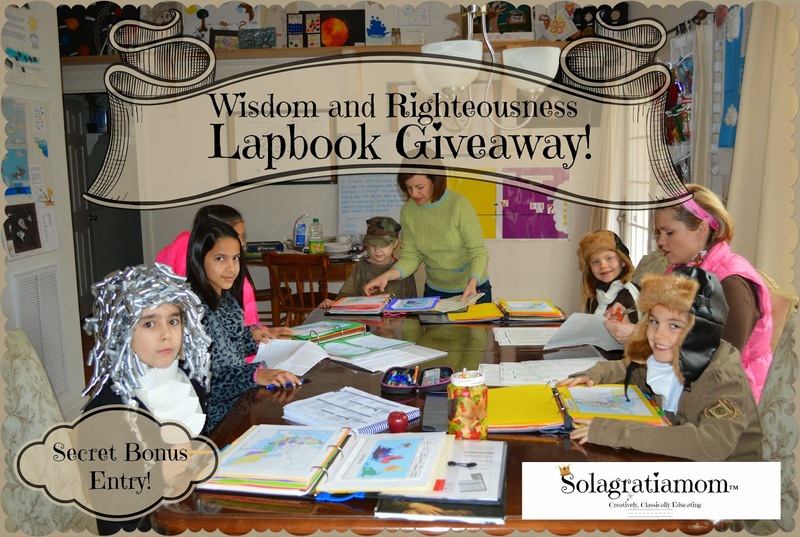 I'm happy to be able to offer two winners a FREE copy of the Wisdom and Righteousness Lapbook for Cycle 3! If you are interested in the Solagratiamom™ Teaching Plan, then you will definitely want to enter because there is a secret bonus entry just for you! Spread the word and share the link with whomever you think might be interested in this terrific giveaway and bonus! I'm excited about them both! In addition, if you want to go ahead and start planning and doing your lapbooks to prepare for the coming school year, then go ahead and purchase from www.wisdomandrighteousness.com and you will be credited back if your name is drawn as the winner! So enter, grab your resources and secret bonus entry and enjoy the remaining weeks of planning over the summer! So you took the CC Plunge...hope it's a great year. Thanks for entering and stopping by! I am trying to buy your teaching plan, but I don't see where to put the giveaway secret code in. Help! Thanks for responding so quickly. I tried it again and checked out with PayPal. I still couldn't find it, but I put a note in my PP payment. I am really excited to use this. Thank you so much for taking the time to put this together. As a first-time CC mom, this really helps me feel empowered and ready to succeed!